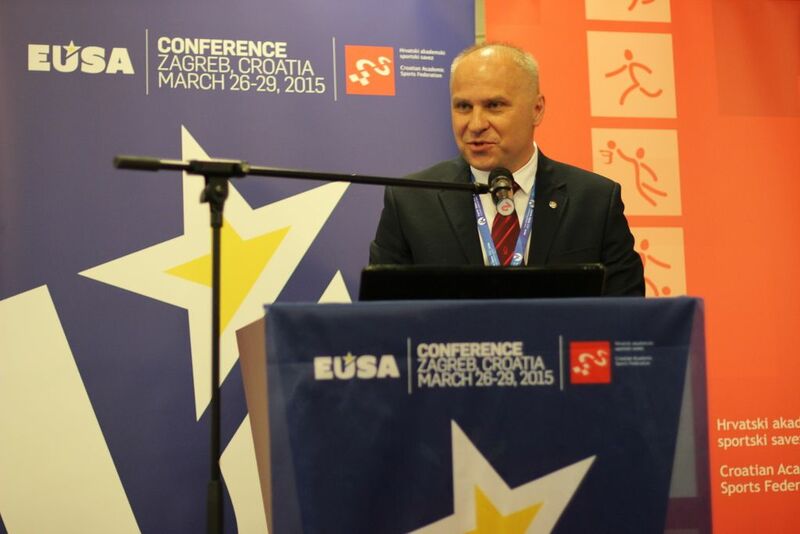 The EUSA Conference 2015 "Advancing University Sport", organised by the European University Sports Association (EUSA), in cooperation with the Croatian Academic Sports Federation (CASF), Organisers of the European Universities Games Zagreb-Rijeka 2016 and partners, opened on Friday, March 27, 2015 in Zagreb, Croatia. Welcome speeches were given by the President of the Croatian Academic Sports Federation (CASF) Mr Zrinko Custonja, the President of the European University Sports Association (EUSA) Mr Adam Roczek, the President of the International University Sports Federation (FISU) Mr Claude-Louis Gallien and the Assistant Minister of Science, Education and Sports Mr Tomislav Paskvalin. Representatives of the African and Asian Continental University Sports Federations also addressed the audience. Over 180 participants, coming from 34 countries from all over Europe, also with guests from overseas, are taking part in the Conference. 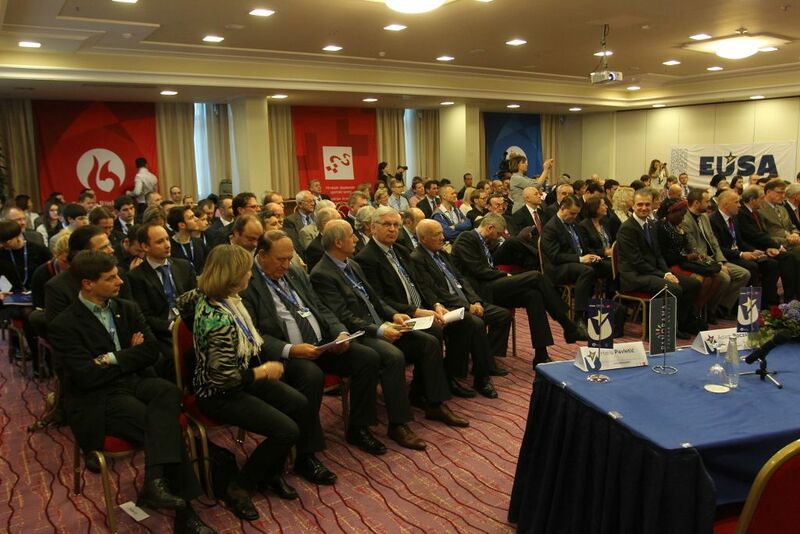 Among these are also the members of the FISU Executive Committee, representatives of the cities of Zagreb and Rijeka, representatives of the Universities, Olympic Committees, EUSA partner organisations and other guests and other participants. The plenary sessions were chaired by Mr Leonz Eder, EUSA Vice-President. 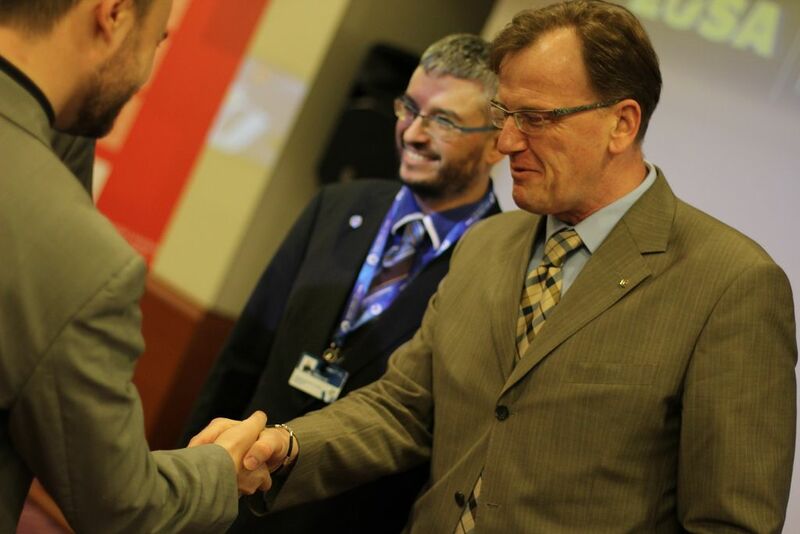 The first plenary session was focused on the European Universities Games, where the concept and history of EUSA and the sports events, introduced by EUSA President Mr Roczek and Secretary General Mr Matjaz Pecovnik. 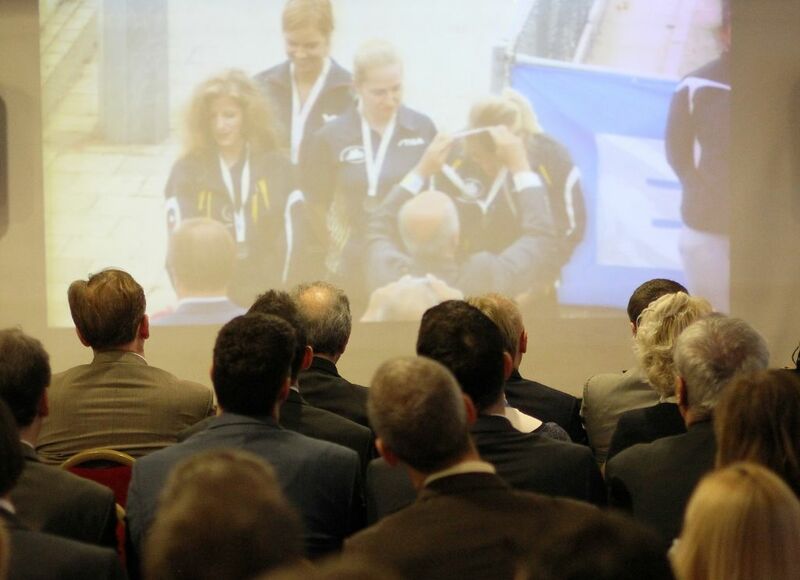 Special attention was given on the past edition of the 2nd European Universities Games Rotterdam 2014, significant also for the recognition and support from the Erasmus+ programme for non-profit sports events. On behalf of the Organisers of the European Universities Games 2016, Mr Haris Pavletic presented the concept of the Zagreb-Rijeka 2016 event, and the plans of the events in the two cities. 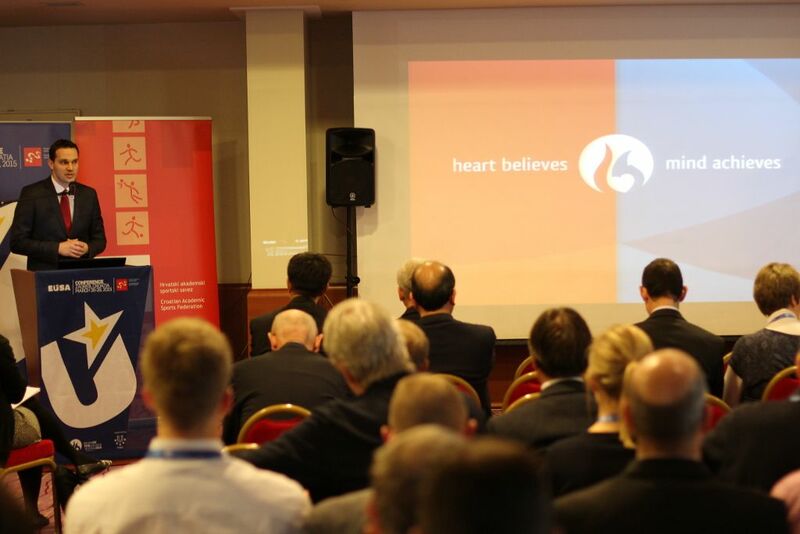 Creating Legacy was the second plenary session on Friday, addressing the question of what legacy can be associated with university sport events; what was the legacy of the Zagreb Universiade and what is the planned legacy of the 2016 EUSA Games. Mr Claude-Louis Gallien, President of the International University Sports Federation (FISU) opened the plenary, with the introduction on the history and concept of the Universiades and shared some good examples of strong legacy projects of the past events, specifically referring also to the 1987 Zagreb Summer Universiade. The President of the European University Sports Association Mr Adam Roczek introduced the basic aims of EUSA and its sports events through the cooperation strategies and plans, and the importance to reflect the needs of EUSA as the licence-holder, the local organisers and community and also very important stakeholder - the participants themselves. The plenary was concluded by the presentation of the legacy plans of the European Universities Games Zagreb-Rijeka 2016, given by Mr Gordan Kozulj, Secretary General of the Organising Committee. 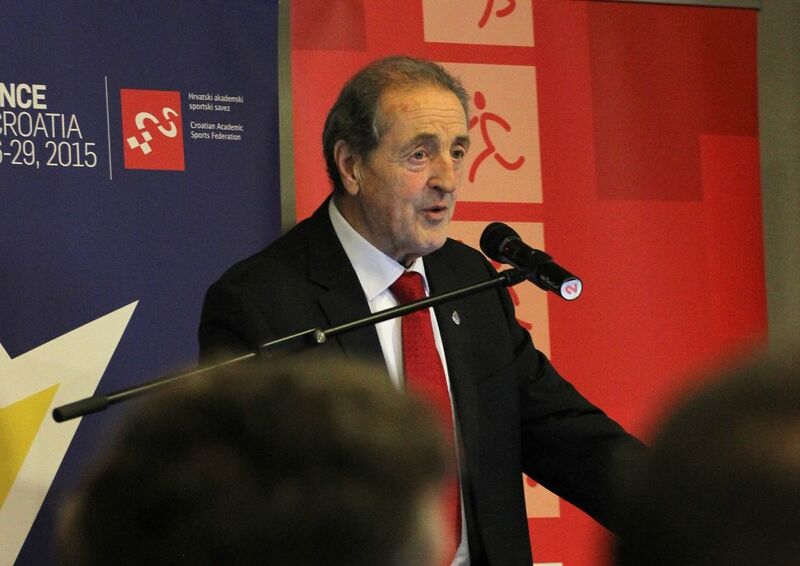 He pointed out the strengths of the Games which were already set out in the bidding process, strategically planning not only the quality execution of the event, but also introducing new ideas, like inclusion of sports for students with disabilities, which will remain also in the future editions. 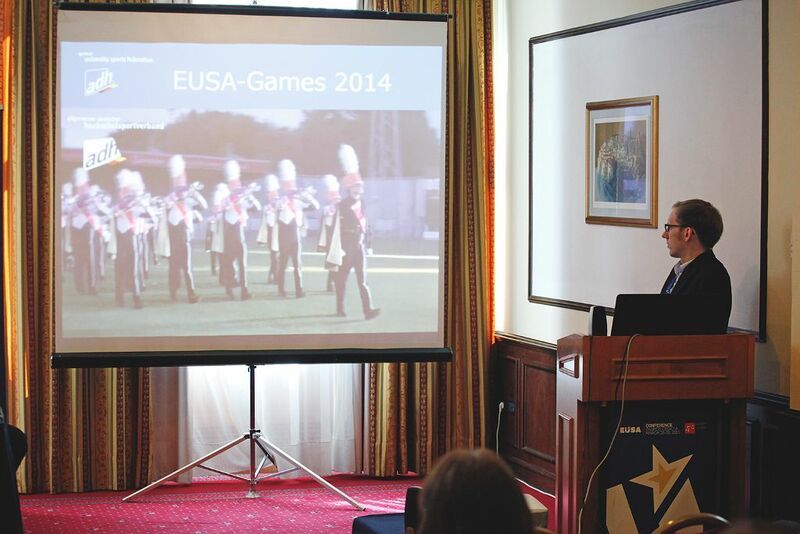 The afternoon parallel sessions were carried out in forms of workshops, assisted also by EUSA partner organisations. The first one was on Opportunities for Students towards Increasing Employability, giving overview of several successful projects and initiatives, offering opportunities for students in non-competition context, from volunteering, employment, professional training and development. The session was moderated by Mr Bruno Barracosa, Chair of the EUSA Student Commission. The second workshop was on Equality and Ethics in Sport, where the panellists briefly presented the core mission of their organisations and projects and activities which aim to raise awareness about diversity in sport, with the need for ethics and equal opportunities. Session was moderated by Mrs Biserka Vrbek, Executive Committee member of the European Fair-Play Movement, who also introduced the wider concept of fair play. The panellists were Mr Ratko Kovacic, Vice-President of the European Paralympic Committee, Ms Heidi Pekkola, Policy Officer of the European Non-Governmental Sports Organisation and Ms Claudia Krobitzsch, Programme Coordinator of the FARE Network. After the lunch break, the participants were able to follow the interactive plenary session on Dual Careers and Education through Sport. The plenary reflected on the topic of Dual Careers, through the European perspective and the values of education in and through sport from the viewpoints of the policies and how does that look in practice. Ms Agata Dziarnowska, Sports Policy Officer from the European Commission DG EAC – Sport and Erasmus+; Ms Margo de Lange, Policy Officer if European Network of Academic Sports Services and Mr Guy Taylor, Chair of EU Expert Group on Human Resources Development in Sport gave their views on the topic, and shared their insight on the need of cooperation and stronger partnerships in and between education and sport. 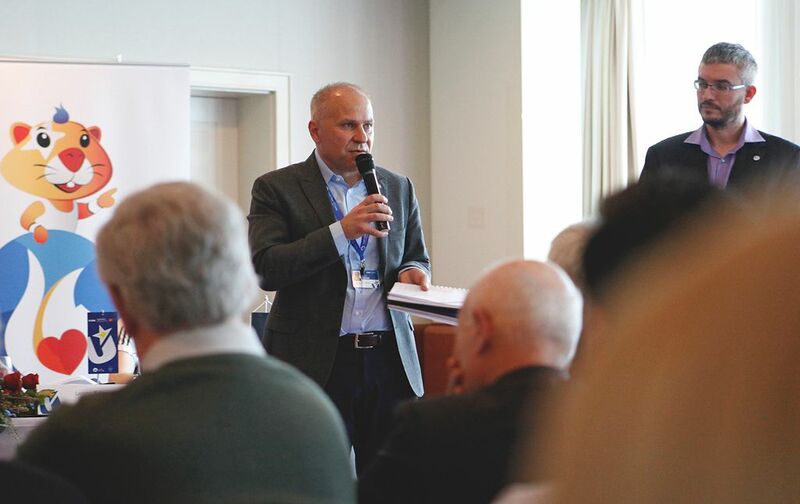 The day concluded by the recaps of the workshops, with Introduction to EUSA Exhibition and Fair by Mr Oleg Matytsin, Vice-President of the European University Sports Association. 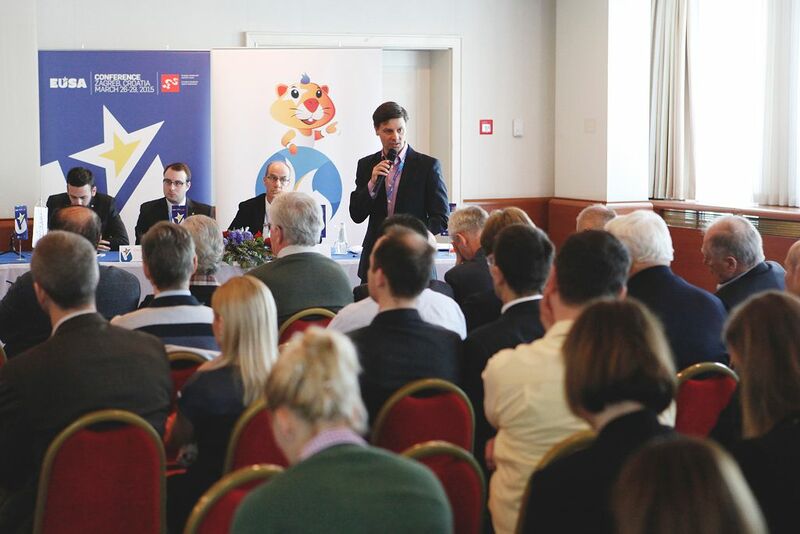 Mr Matytsin gave a short overview of the EUSA Exhibition on University Sport in Europe, and also presented the next world university sport games to be held in Europe - the 29th Winter Universiade, which will be held in Krasnoyarsk in 2019. 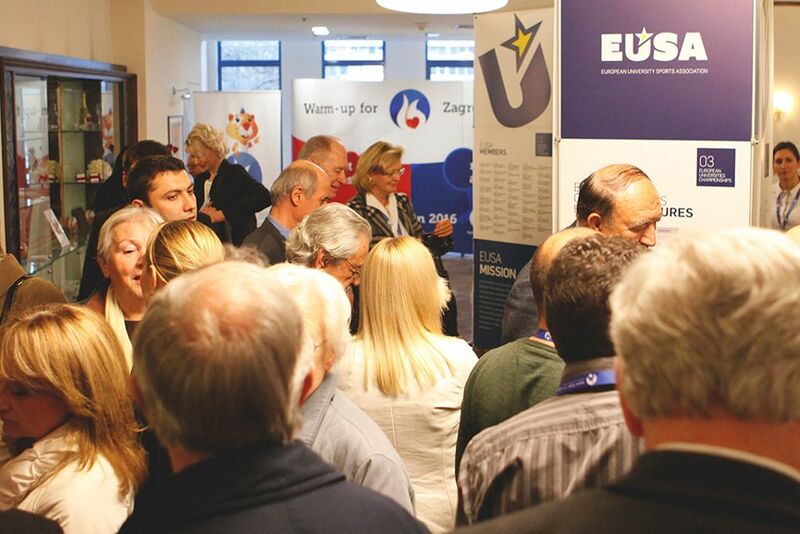 All participants were then able to enjoy the EUSA exhibition, which officially opened at this occasion in Zagreb, and the Fair, at which the EUSA events organisers, the member federations and partners were able to present their projects. 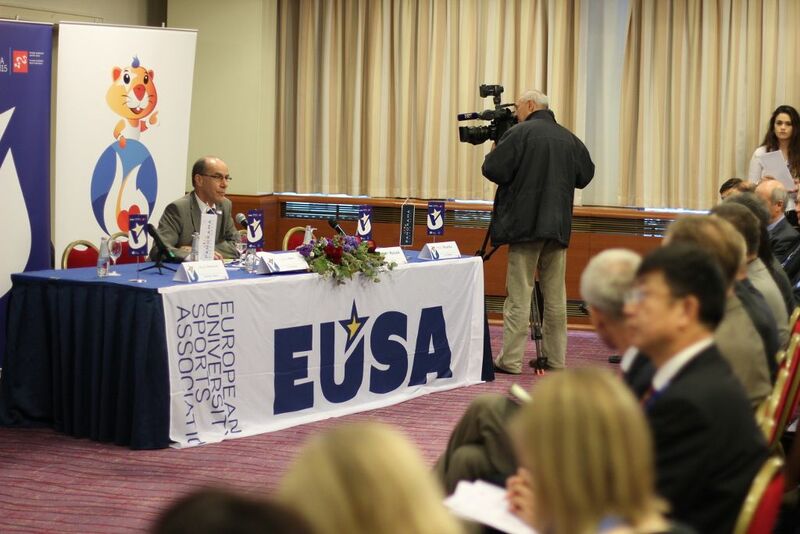 The EUSA Conference 2015 continued on Saturday, March 28, starting with three interesting parallel workshops in the morning, enabling more in-depth presentations and interactive discussions between the audience and the panellists. The first parallel workshops entitled Engaging Students – Good Practices featured panellists representing three National University Sports Associations who presented their activities in the promotion of healthy lifestyle, engagement in sports and recreation activities, targeting especially higher education students. The session was moderated by Mr Christopher Purdie, Student Commission of the European University Sports Association and the panellists included Mrs Hilkka Laitinen, Secretary General of the Finnish Student Sports Federation (OLL); Mr Mozes Szekely, Secretary General of the Hungarian University Sports Federation (HUSF) and Mr Erwin Apitzsch, Board member of the Swedish University Sports Federation (SAIF). The second workshop on funding opportunities reflected on the fact that financing organisations, activities and special projects is always challenging and often depends on the situation on local and national level. Concrete initiatives, opportunities and positive examples were presented in this workshop, chaired by Mr Olaf Tabor, Treasurer of the European University Sports Association. Ms Laska Nenova, Project Manager from the International Sport and Culture Association; Mr Haris Pavletic, Executive Committee Member of the European University Sports Association and European Universities Games 2016 and Mr Stefan Bergh, Executive Committee Member and CDSU Chair of the International University Sports Federation spoke about their projects, initiatives and experiences. Last of the parallel workshops focused on the New Media. As media coverage and visibility are an important aspect of every organisation, sports event and project initiative, the discussion focused on what are the new media, how accessible are they and what are some of the good practices. 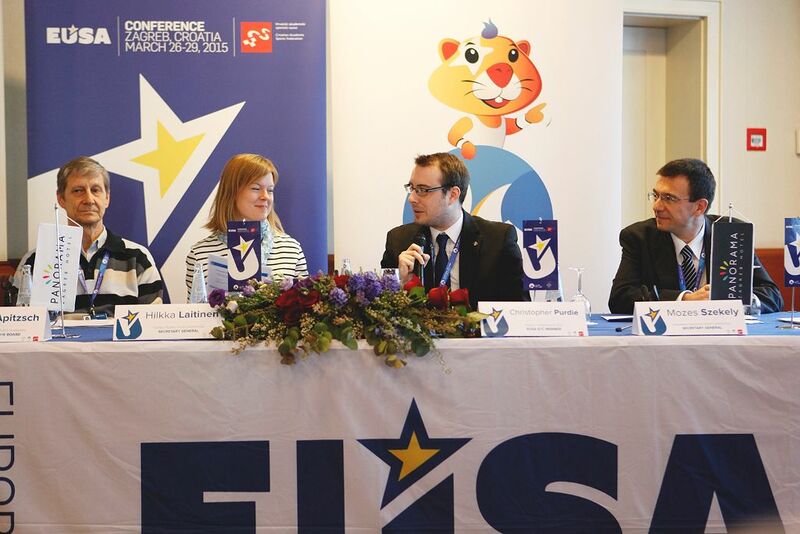 Contributors were Ms Bella Colafrancesco, from the Student Commission of the European University Sports Association; Mr Paulus-Johannes Mocnik, Media Manager of the German University Sports Federation and Ms Monika Sobotka and Mr Lukas Turlej from the University Sports Association of Poland. The session was moderated by Mr Valentin Dupouey, member of the Media and Communication Commission of the European University Sports Association. After the parallel sessions, the moderators of the workshops presented in brief the presentations nad discussions in their respective groups and the final plenary session was dedicated to the topic of Activating Europe. In 2015, European Union is launching the European Week of Sport, with the #BeActive campaign, in order to increase the physical activity of the European citizens. 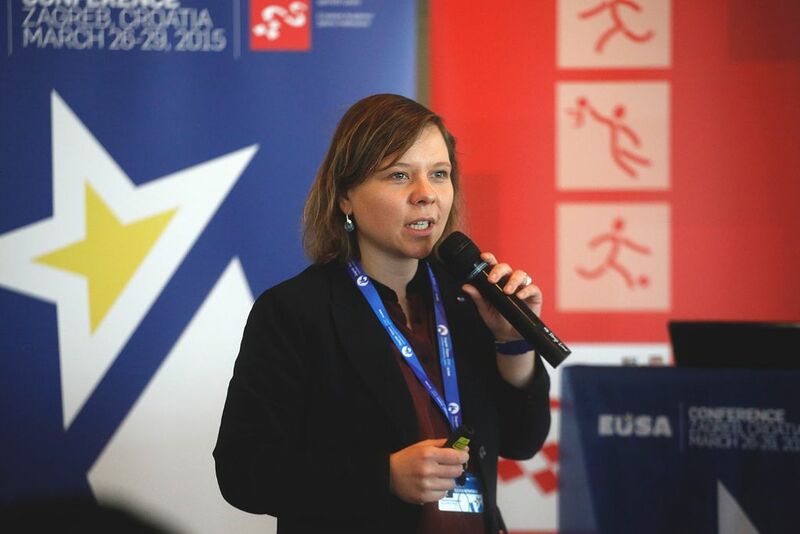 Ms Agata Dziarnowska, Policy Officer from the European Commission DG EAC – Sport and Erasmus+ presented the history and main ideas of the European Week of Sport (EWOS) and the planned activities. 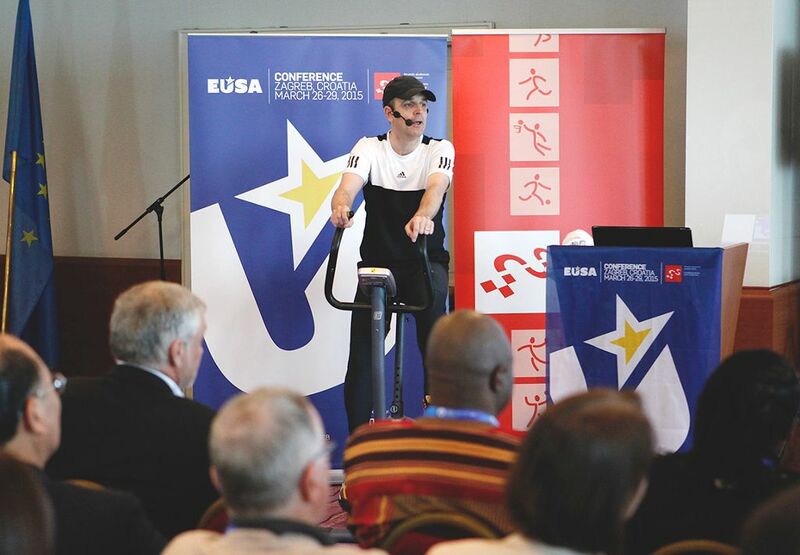 As university sport is fully endorsing the initiative and will carry out own activities, Mr Matjaz Pecovnik, Secretary General of the European University Sports Association presented in an innovative way the activities related to the subject matter, organised and endorsed by EUSA in 2015, starting with the current EUSA Conference in Zagreb, covering 19 European Universities Championships, 8 sports events under EUSA patronage, supported by promotional activities, leading to the pinnacle EUSA activity within the EWOS – the European Universities Rowing Championship and related events, placed in the City center, promoting physical activity and sport engagement. These events will be held in Hannover, Germany, between September 9 and 12, 2015. The plenary gave a strong signal and showed commitment of EUSA to be a partner of the European Commission in the European Week of Sport. The closing part of the conference started with the thanks of the main moderator Mr Leonz Eder to the main coordinators of the conference – Mr Andrej Pisl and Ms Jelena Matesic who received symbollic gifts on behalf the entire team. Mr Adam Roczek on behalf of EUSA and on behalf of the hosts – the Croatian Academic Sports Federation and EUG2016 Mr Haris Pavletic concluded the event and thanked the participants for attending the Conference in such big numbers, all partners for their support, as well as the speakers, panellists, moderators and facilitators for their contribution and the wide teams of volunteers and staff for the excellent preparation of the event. 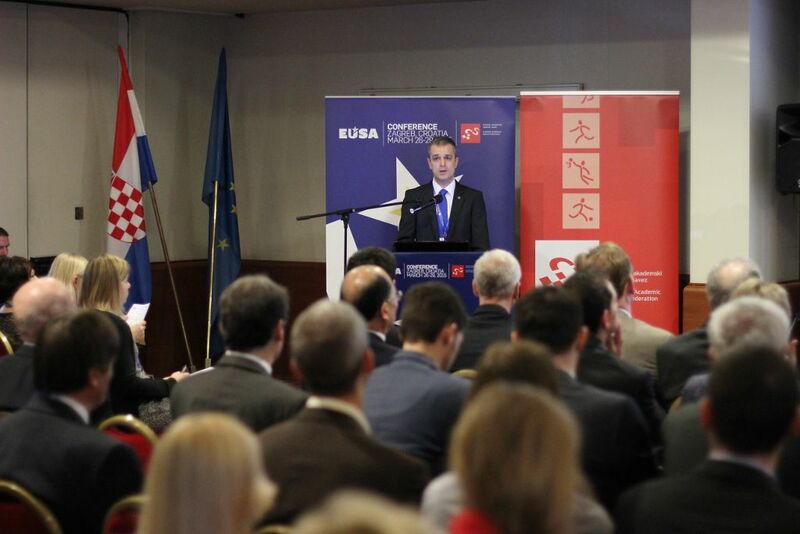 The EUSA Conference was organised by the European University Sports Association (EUSA), in cooperation with the Croatian Academic Sports Federation (CASF), Organisers of the European Universities Games Zagreb-Rijeka 2016 and supported by the International University Sports Federation (FISU) and local partners.